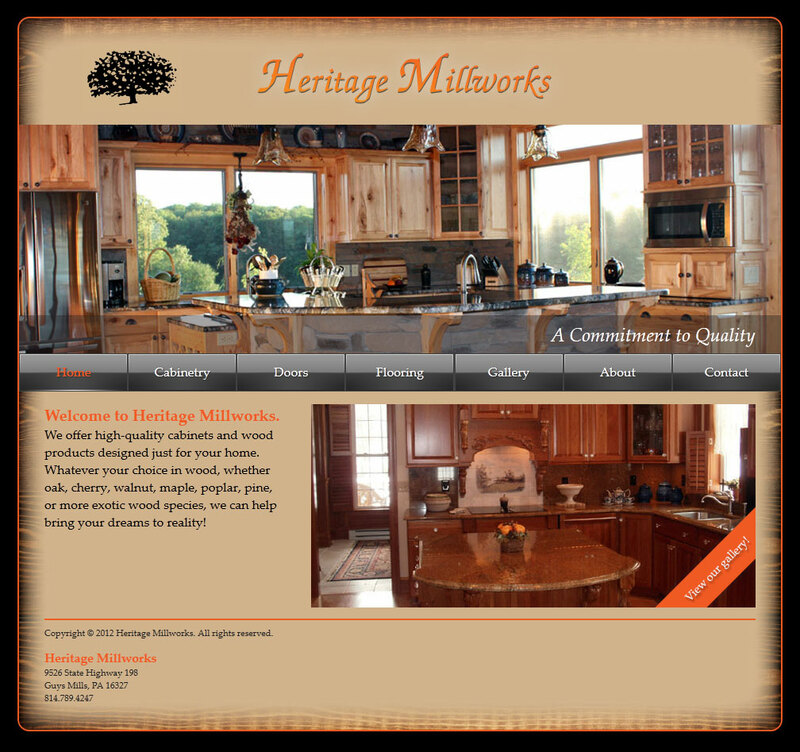 Heritage Millworks has a great local reputation for beautiful, high-quality cabinets and other wood products. Take a look at the gallery and you'll see what I mean! Ryan Herschberger is a friend of mine, and I was delighted to work with him on the launch of the business's first website. The design includes a wood texture background, some rounded corners, a jQuery pop-over gallery, and glossy navigation buttons in a full-width menu. This was a fun project to work on, and we completed it just before the Crawford County Fair 2012, as requested.